When you drink a glass of wine made from LODI RULES certified grapes, you are supporting a farmer, a vintner, and an entire agricultural community that embraces their responsibility to care for the environment and the people. In the Lodi, California, AVA – where nearly 1/5th of California grapes are grown – there exists a forward-thinking, visionary group of farmers who tax themselves to fund the Lodi Winegrape Commission. The growers of this Commission created LODI RULES out of a desire to farm in a way that meets the needs of today without compromising the ability of future generations to create their own livelihoods. 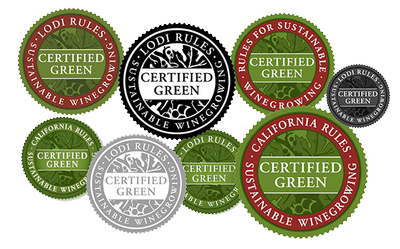 The LODI RULES Sustainable Winegrowing Program is the culmination of decades of viticulture research and input from farmers, scientists, and environmentalists – and it continues to evolve and improve.